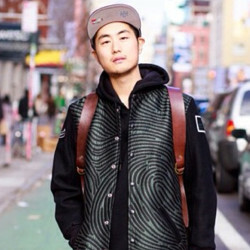 David is a fashion, business, and culture writer based out of Brooklyn, New York. Raised by grizzly bears in Colorado, he retired from the mountain life and trekked on to the Westcoast. There, he discovered a tribe of overly-happy, green-juice chugging, mildly orange people called Angelenos. Today, he calls them his spiritual tribe. When he's not fending against his dangerously bearded Williamsburg neighbors, he writes for New York, Style.com, GQ, Harper's Bazaar, and Refinery29. He's been published in the Wall Street Journal, WWD, Entertainment Weekly, People, Elle, Details, and Esquire.